Did a group of Trump supporters slime “Rogue One: A Star Wars Story” without the facts? The hashtag #DumpStarWars began Thursday morning with a group of conservative “Star Wars” fans declaring their intent to boycott the release of “Rogue One,” the upcoming standalone film that hits theaters Dec. 16. 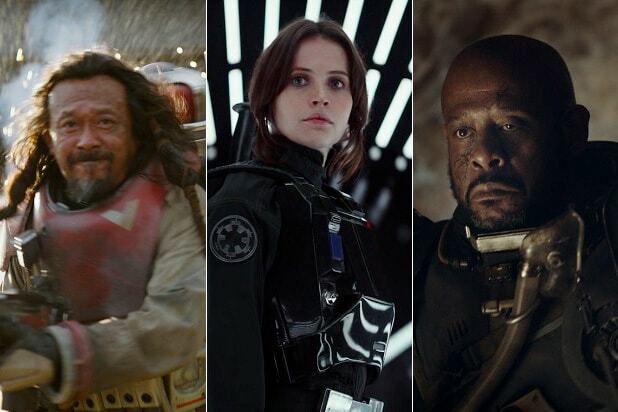 A Disney representative has told TheWrap that allegations that the plot of “Rogue One: A Star Wars Story” was changed in post-production reshoots are completely untrue. And then he followed that up with an 18-minute live stream via Twitter’s Periscope app. For good measure, a few hours after the original tweets he posted this image from a meme generator at breakyourownnews.com. A lot of folks have taken what Posobiec has tweeted and said in his multiple Periscope streams at face value, propping up the #DumpStarWars hashtag enough that it trended — though plenty of the tweets on that hashtag are also people arguing that Posobiec is lying. Whether or not Posobiec is lying, he is making claims that are not supported by the facts. Weitz chimed in on #DumpStarWars on Thursday, calling it “completely fake,” echoing what we heard from Disney. The problem with #DumpStarWars is that Posobiec appears to have combined those completely discrete stories into one, claiming that the purpose of the reshoots were to smear Donald Trump in some way. 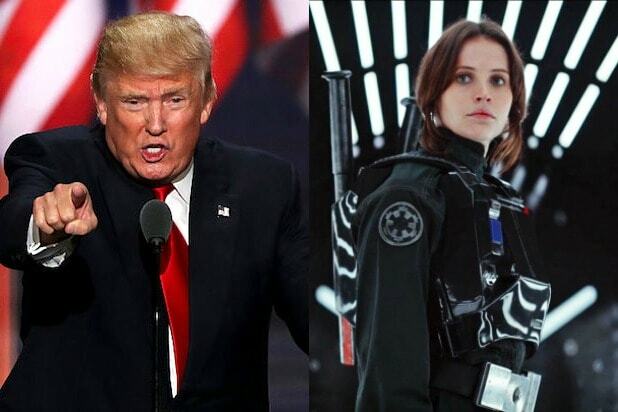 There is no evidence whatsoever that any of the changes made to “Rogue One” were politically motivated, and it’s difficult to imagine how a “Star Wars” movie — being set in a fantasy universe — could directly address the election of Donald Trump anyway. It’s worth noting that the reshoots were completed during the summer, well before the election and well after Whitta left the project in early 2015. Many adherents of #DumpStarWars bemoan the seeming combination of entertainment and politics, though of course “Star Wars” is well known for containing obvious real world parallels. Weitz’s claim that the Empire is a supremacist organization is certainly backed up by the lore of the franchise. And it’s no secret that franchise creator George Lucas wanted the uniforms of Imperials to evoke garb worn by Nazis, and for the Empire to be a militaristic fascist organization reminiscent of Nazi Germany. "Rogue One", the first "Star Wars" anthology film, zeroes in on the crew that stole the plans to the Death Star, with a focus on the Erso family. While the story of Jyn and her father Galen will guide the narrative, one silent, constant character hovers over all: the Death Star. Inspired by legends of a Sith superweapon (similar to the one mentioned on the planet of Malachor in the "Star Wars Rebels" special, "Twilight of the Apprentice"), the Death Star was the most fearsome weapon in the galaxy, capable of destroying entire planets in the blink of an eye. Count Dooku stood at the head of the initial operation, conducting it right under the Jedi’s noses (or above, as it were: right over Geonosis following "Attack of the Clones") as the Clone Wars raged on between the Separatists and the Republic. The battle station served many purposes, but at its core, there was only one: destruction. According to novels like E.K. Johnston's "Ahsoka" and the official Star Wars databank, it was powered by kyber crystals, which were strong in the Force and -- when destroyed -- erupted in huge explosions. More on that part in a bit. As fans might learn from the pages of Claudia Grey's novel, "Lost Stars", it took more than the simple push of a button to activate that gigantic laser: Hundreds of crew members and active droids kept the space station efficient. This was all part of its grand design, and the process from pushing the button to firing the laser cannon was much more complicated than one might think. Kyber crystals, like the one seen in the latest international trailer for “Rogue One," start out clear. But a crystal changed color when a Jedi bonded with it, or a Sith corrupted it (this gets even more complicated in "Ahsoka"). The power the crystals emit created the blade of a lightsaber. Needless to say, when you mine the entire galaxy for every single kyber crystal in existence (which the Empire did, using the biggest ones for their purposes), you can power a pretty big weapon. Or, in this case, a giant world-destroying laser. The main characters of "Lost Stars" served on the Death Star among 300,000 other military personnel, along with 2 million other occupants of "varying combat eligibility." The first Death Star had 357 different internal levels and its entire center hemisphere was composed of countless docking stations and hangars. It also had bars and other commissaries, because it was meant to function as a livable base for the Empire's best. Despite all of those functions and cogs turning at once, the bulk of the station's manpower went toward building and maintaining the laser. The superlaser was powered by a hypermatter reactor, charged by gigantic kyber crystals. When fired, the energy would erupt upwards through the large satellite in the northern hemisphere of the station. After this, though, the large weapon needed 24 hours to recharge. It was only fired once. Outside of the super laser, the battle station was crawling with other weapons, powered by 15,000 turbolaser batteries. On defense were 768 tractor beam emplacements, which were built to take on large-scale fire. This fatal flaw provided an opening exploited by a few scrappy Rebels.